This week is Clubs and Societies week at WIT and there is a great atmosphere around the college. 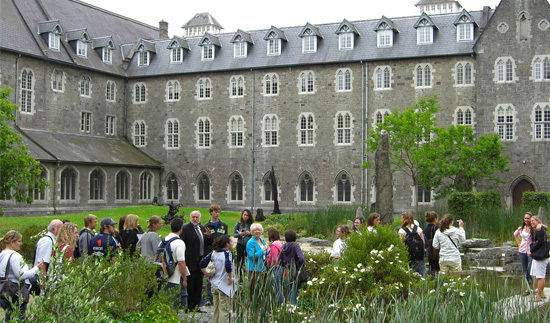 As in any third level college, there are many interesting clubs, from Gaelic games to swimming, from canoeing to rock climbing etc. This is an important part of college life as the clubs offer a wonderful opportunity for students to try a sport they may never otherwise encounter. For example, the sailing club gives students an opportunity to learn to sail without the hassle of buying a boat or joining an expensive sailing club. 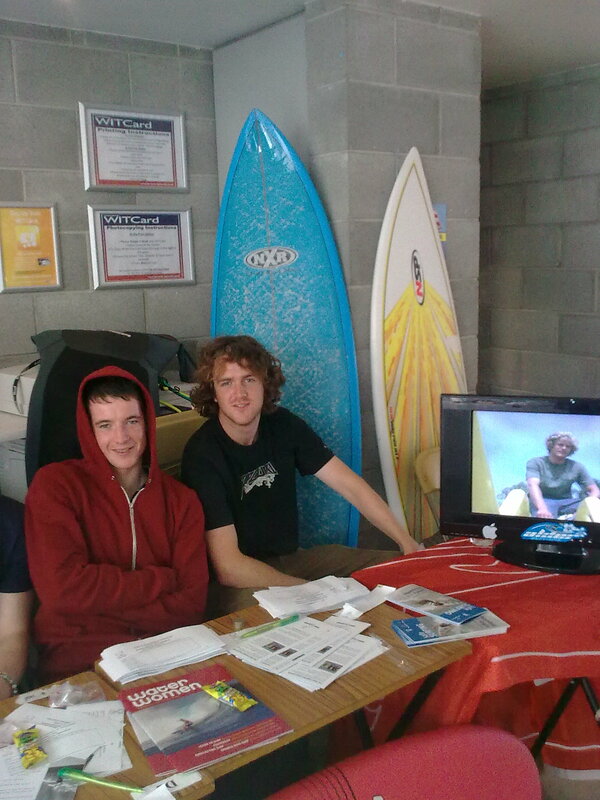 My own favourite is the surf club – this is a big hit as the college is only a few miles from Tramore surf beach and students from distant parts of the country (and abroad) are keen to sign up. There is also a good mood around the college because WIT has just been nominated Institute of Technology of the Year in the Sunday Times league table of Irish third level colleges. The Sunday Times ranking is the only league table for the IoT sector and it is the second time WIT has won the award in the last few years. It’s always good to come first, but it’s hard to know how accurate such rankings really are. Different colleges come top each year, which might indicate that the variation in a given college from year to year is larger than the variation between different colleges. That said, only a small number of colleges vie for top position every year so I guess it’s an honour to be in that number. You can see more details here. It’s a good result, but one must admit that the poll is not a scientific study. For example, some academics question the ‘student grades’ category: a high percentage of 2.1s or above is awarded a high score, but it’s always possible that such a score reflects exam standards rather than better teaching (colleges set their own exams). This is an argument for another day, but let me note that even if this were true, I’m not mad about the other extreme: a recent study confirmed that throughout the 1980s, UCC and UCD graded their students far harder than Trinity, a habit that advantaged nobody and disadvantaged their students. As regards the university rankings in the Sunday Times study, NUI Maynooth is the 2009 University of the Year up from 7th place last year. This is only one of two categories for the universities (I’m not that clear on the difference) but it’s pretty impressive for one of Ireland’s smallest universities. It does however raise a question: how could any college change this much in one year? I suspect it indicates that there are only small differences in scoring between the universities. Indeed, a positive result that can be drawn from the Sunday Times annual rankings is that Irish university students are offered pretty much the same level of education irrespective of which university they attend, in marked contrast with the American system. I like the Irish system better and I think we should stick with it, and forget the recent suggestion of a two-tier university system with an eye to world rankings. How do the Institutes of Technology compare with the Irish universities? It’s hard to tell as there are separate lists for the two types of college. I think it would be interesting to see a direct comparison between the two: in particular, I think the results in research funding for WIT and CIT might come as a surprise to some university colleagues. Finally, I can’t resist pointing out the sad irony of WIT coming top in such studies. Waterford is one of the most disadvantaged of Irish cities and one reason for this may be that is the only Irish city without a university, causing an inevitable braindrain of our best schoolleavers to Dublin and making it difficult to attract multinationals to the region. In other words, the city desperately needs the cachet that a university would bring and clearly has a college that could form the basis of such a university, but nobody in government is much interested. Some might argue that if Ireland were governed by logic rather than history and religion, there would be no university in the town of Maynooth and there would be one in the city of Waterford where it’s needed…I couldn’t possibly comment!